You're invited to join us for our wine dinner on Thursday, April 25, when we'll highlight wines from northern Italy and cuisine inspired by the region. The evening begins with a reception followed by a four-course seasonal tasting menu, with each course carefully paired with an Italian wine. Matthew McCammon of Rootstock Wines will join us to discuss the wines and share stories of these small, family-run estates committed to producing distinctive wines for everyday drinking. 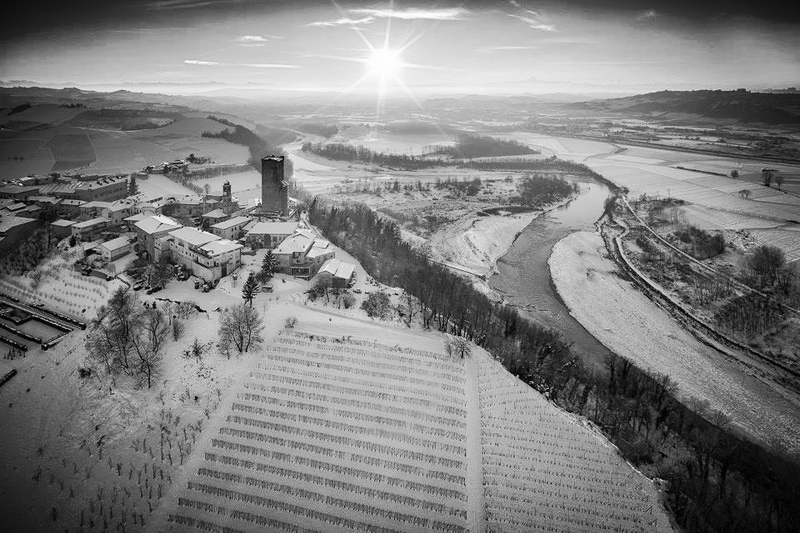 You'll have the opportunity to purchase bottles of the featured wines so you can be transported anytime to the hilly land of humble vintners who have dedicated their lives to upholding the quality and tradition of centuries past. Tax and gratuity are included in the $125 ticket price. Menu subject to change. On April 25, the regular a la carte menu will not be available; we will be serving the above wine dinner menu. Mother's Day plans are in bloom! As is our tradition, Vie will be open on Mother's Day to help you celebrate the special women in your life. We’ll share the full three-course menu and children's menu offerings soon (get a sneak peek below). In the meantime, if you'd like reserve your preferred dining time, please call us at 708.246.2082 or use Resy. We look forward to seeing you on Mother's Day! Reservations from 12 p.m. to 6 p.m.
delicious desserts coming soon from pastry chef angelyne! Menu subject to change; price does not include tax, gratuity or beverages. On Mother's Day, only the above menu will be available (no regular a la carte menu). Save the date for our June 23 Sunday Supper! The menu and other details will be shared closer to the event. In the meantime, if you’d like to go ahead and save your table, please call us at 708.246.2082. Please save the date for our September 18 Ruffage cookbook dinner with Abra Berens. All the details will be shared a little closer to the event — we are so excited for this one! In the meantime, you can learn more about Ruffage: A Practical Guide to Vegetables at abraberens.com. While Vie will be closed on Easter, our sister restaurant, Vistro, will be hosting an Easter brunch buffet from 10 a.m. to 2 p.m. on Sunday, April 21. Chef Paul and the team have planned a delicious, family-friendly Easter buffet featuring savory and sweet brunch favorites. To reserve your table, please call Vistro at 630.537.1459 or reserve via Resy. 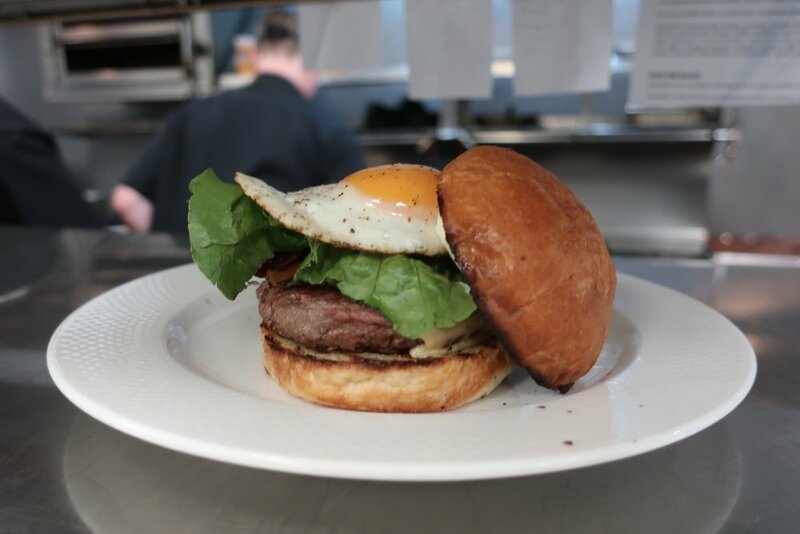 Love Burger Night at Vie? You're in luck! Our first Sunday Supper of 2019 is on St. Patrick's Day, and we'll be serving a lineup of burgers, sides and sundaes for you to enjoy; view the menu below. We look forward to seeing you for [Burger] Patties Day! To expedite and enhance your dining experience, we ask that no substitutions or modifications be made. Burgers will be cooked medium. Beverages, tax and gratuity additional. On Sunday Suppers, the regular a la carte menu is not available. February 20 update: This cooking class has sold out. If you’d like to be added to the wait list, please call us at 708.246.2082. Thank you! Join our March 11 cooking class with Vie sous chef Frank Hutman to learn the finer points of artisan bread-making. 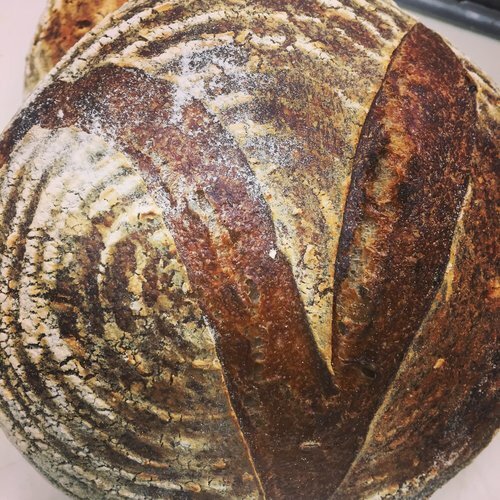 This class offers you hands-on experience in the Vie kitchen and provides all the essential tools you need to start making beautiful, delicious bread at home. After class, we'll sit down to enjoy the loaves of our labor in a family-style dinner. Please call 708.246.2082 to register; pre-payment is required to reserve your spot. Very limited space is available, so sign up soon if you'd like to join us! *Note: This class will cover the same information as Frank's bread-making class on September 10, 2018. Join us on Valentine’s! We will be offering our a la carte dinner menu, our five-course and eight-course tasting menus with optional wine pairings, and some delectable Valentine’s Day specials (see below). The Vie team looks forward to helping you celebrate with your sweetheart and/or other special people in your life. Reservations starting at 5 p.m. Note: If you don't see your preferred dining time on Resy, please call us and we may be able to accommodate you. Chicago Restaurant Week returns for a 12th year in 2019! From January 25 to February 7*, Vie will feature a special prix fixe dinner menu for $48 (excluding beverages, tax and gratuity). View our Restaurant Week menu below. *While normally closed on Sundays and Mondays, Vie will be OPEN January 27 and 28 for CRW (but closed on February 3 and 4). Our weekend reservations have filled up quickly; if you don't see your preferred dining time on a Friday or Saturday, we invite you to visit us on a weeknight! Vistro, Vie’s sister restaurant in downtown Hinsdale, also will be participating in CRW 2019. Please note: Menu is subject to change. During Restaurant Week, only the CRW menu is available (no regular a la carte menu). Thank you for understanding. Welcome the New Year at Vie in downtown Western Springs! While normally closed on Mondays, the Vie team would love to be a part of your New Year’s Eve celebration. We will be offering a special New Year’s Eve menu on Monday the 31st; please see below. Reservations after 9 p.m. are invited to stay for the countdown and a complimentary midnight toast. Please note: Our regular a la carte menu will not be available on New Year’s Eve. Thank you for understanding. Burger Night has become a Thanksgiving Eve tradition! Join us at Vie on Wednesday, November 21, for a fun evening of delicious burgers, sides and sundaes. See this year’s lineup below; cost is $40 per person (not including beverages, tax and gratuity). Reservations are available starting at 4 p.m. on the 21st; call 708.246.2082 to save your table or use Resy. ﻿If you don't see your preferred dining time on Resy, please call us and we may be able to accommodate you. Not able to join us on November 21, or just want two Burger Nights in your life? We'll be hosting Burger Night 2.0 on December 23, Christmas Eve Eve. The menu will be the same, or very similar, to the one below. Please note: To expedite and enhance your dining experience, we ask that no substitutions or modifications be made. Burgers will be cooked medium. We will be serving the above Burger Night menu on November 21; the regular a la carte menu will not be available. You're invited to join us on November 4 for a fall-tastic, family-friendly meal at our last Sunday Supper of the year! View the offerings below (including beef bourguignon and potato-cheddar pierogis😍) — we look forward to welcoming you to Vie on the 4th. Please note: Sunday Suppers are popular events, so we encourage you to reserve your table soon to secure your preferred dining time. yummy kids' dessert to be revealed soon! On Thursday, November 1, we will welcome winemaker Mathieu Gille from Domaine Gille for a special taste of Burgundy. Update: This dinner is sold out. To be added to the wait list, please call us at 708.246.2082. Thank you! On Tuesday, October 23, Chef Paul Virant and the Vie team welcome Hank Shaw to the restaurant for a dinner to remember. Shaw is on a road trip across the country for his new book, Pheasant, Quail, Cottontail: Upland Birds and Small Game from Field to Feast. We're thrilled he's making a stop at Vie, marking his third book dinner with us. For his visit, we're preparing a not-to-be-missed tasting menu (below) featuring recipes and techniques from Pheasant, Quail, Cottontail. Everyone’s reservation comes with a signed book. We look forward to seeing you for this exclusive dinner at Vie with our friend Hank Shaw! For online tickets via Resy, please select October 23, then 6 p.m. Special Dinner, and follow the prompts. Please note: Beverage pairings will be available at an additional cost. The $125 event price includes your food, signed cookbook, tax and gratuity. Hank Shaw is a chef, hunter, angler, forager and wild foods expert constantly on the lookout for new things to gather, catch and eat. Shaw stands at the forefront of the wild foods movement, and his website, Hunter Angler Gardener Cook (honest-food.net), won the James Beard Award for Best Blog in 2013. Shaw has appeared on television shows ranging from Mike Rowe's "Somebody's Gotta Do It" on CNN, to Andrew Zimmern's "Bizarre Foods" on Travel Channel, to Steven Rinella's "Meateater" on Sportsman Channel. He hunts, fishes and forages near Sacramento. Pheasant, Quail, Cottontail covers all sorts of birds, from pheasant, quail and wild turkey to lesser-known birds such as snipe and rails. It also has an extensive section on small game animals such as rabbits, hares and squirrels. Not a hunter? This book covers the domesticated cousins of these game animals throughout. You’ll also find detailed information on how best to treat these various species in the kitchen, how to select them in the market, and how to pluck, clean and hang wild birds. A portion of the proceeds of every book sold will go to help the nonprofit conservation efforts of Pheasants Forever and Quail Forever, which will use the money to restore, maintain and expand habitat for all upland birds. For our October 4 wine dinner, we are featuring wines from Rabble Wine Company, Paso Robles, California. We'll be pouring one white and five reds — great for the season and for red wine lovers! For Sunday Supper on September 16, we're bringing breakfast to the table! Join our September 10 cooking class with Vie sous chef Frank Hutman to learn the finer points of artisan bread-making. Celebrate 14 Years of Vie! Fourteen years ago this month, Vie opened its doors. Chef Paul and the Vie team would love for you to come mark the occasion with us on Tuesday, August 14! Don't miss our August 9 beer dinner with our talented friends just down the road in Lyons: BuckleDown Brewing! Summertime means BBQ time! This year marks our eighth annual celebration of all things grilled, smoked and barbecued. Our next Sunday Supper is set for June 24 — we hope you can join us for this special family-friendly meal at Vie. Cooking Class With Chef Paul: Focus on Fish! Join our June cooking class with Chef Paul to learn the fundamentals of cooking fish! We look forward to helping you celebrate the special women in your life! Our kitchen team has crafted a spring-forward three-course menu and children's menu for you to enjoy. Please save the date for our next wine dinner at Vie. Our first Sunday Supper of the year is set for March 18. We hope you can join us for this family-friendly special event at Vie. Won't you Vie my Valentine? Join us on Wednesday, February 14, to celebrate your sweetheart with a special Valentine's Day menu. Chicago Restaurant Week returns for an 11th year in 2018! From January 26 to February 8, Vie will feature a special prix fixe dinner menu for $44. Join us for a memorable dining experience as we say goodbye to 2017 and welcome the new year! Join us for a fun night with delicious burgers, sides and sundaes on "Christmas Eve Eve" -- menu and details coming soon! Skip the kitchen the Wednesday before Thanksgiving and join us instead for our annual fun and delicious Burger Night! Mark your calendar! Our next wine dinner, on Thursday, November 2, is with Michael Corso Selections and features small, French family domaines. Please save the date for our next beer dinner: We're thrilled to partner with Chicago's Band of Bohemia on October 12. Please join us for our September Sunday Supper! Enjoy a three-course meal for $40 for adults, and $10 for our guests 12 and under.